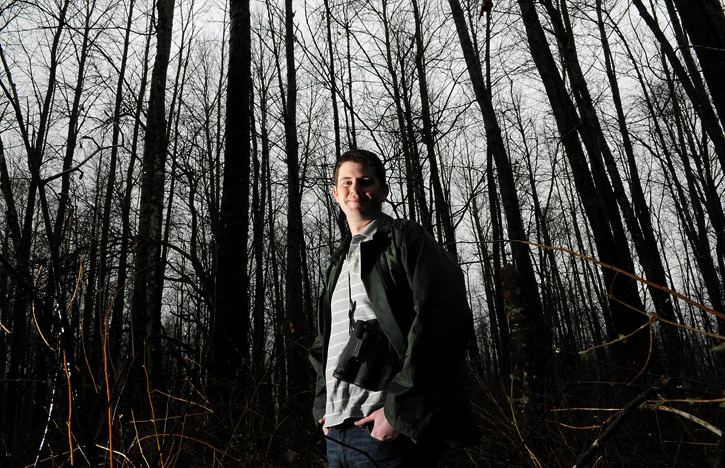 Gord Gadsden is well-known as the top birder in the Fraser Valley and is the founder of the popular Fraser Valley Birding website and forum. Gord has identified a mind-boggling 322 species of B.C. birds, most of them from the Upper Fraser Valley. With keen ears he can pick out over 160 different birds by their song. Gord is also a resource technician with the Fraser Valley Regional District parks department. His duties include nature interpreting the amazing parks and natural areas of the Fraser Valley. Interpreting is done using a fun and very informative style and is flexible to suit the needs of his audiences which range from kindergarten students, university students and adult groups. He was just always interested for as far back as he can remember. “I learned to read with a bird guide, to be honest.” One of the founders of the Chilliwack Field Naturalists, Denis Knopp, was an early mentor for him. Getting kids interested potentially means creating the environmental stewards of the future. Everything from running interpretive programs, to school projects like making wood duck boxes for the tiny wood ducks, as well as swallows, bats and owls.